DSC_0085, originally uploaded by njmitchell. I went to Iceland for a short trip over the weekend. 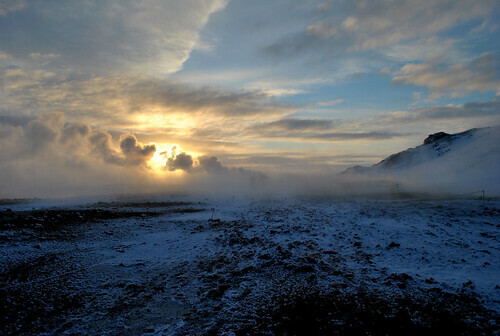 This was taken at the site of volcanic mudbaths near Lake Myvatn. The sun wasn’t setting – it just hangs low in the sky at this time of year. More pictures over at Flickr. Posted in Photography, Travel. Tagged Iceland. What a stunning photo. And the other on the flickr-website are great, too.